The Atlantics band was started in 1976 by bassist B. (Bruce) Wilkinson and guitarist Tom Hauck, while they were students attending Tufts University in Medford, Massachusetts. Singer Bobby Marron, lead guitarist Jeff Locke and drummer Boby Bear completed the original lineup. Soon after, they opened for The Ramones at The Club in Cambridge by getting the punk group’s co-manager Danny Fields’ New York City phone number from dialing information, cold calling him, and then asking for the gig. 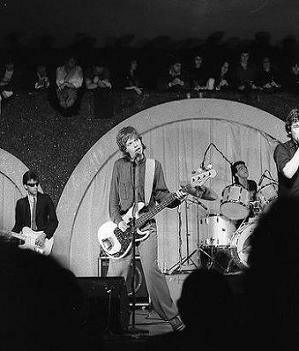 That show, and others that followed, established them as one of Boston’s most popular unsigned power pop, new wave, proto-punk bands. They were seen and signed by New York manager Fred Munao, and in 1977 they changed drummers. Exit Boby Bear. Enter Ray (Rayboy) Fernandes. The Atlantics recorded a 45, “When You’re Young,” that they were going to release themselves. The record was pressed, but before it was released Jeff Locke left the band, and in the summer of 1978 Fred Pineau auditioned and joined the mix. 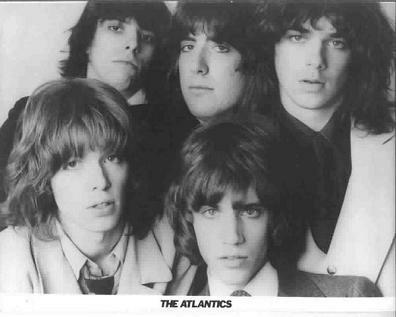 The Atlantics went to The Hit Factory in NYC and recorded a 45 for ABC, “When You’re Young” b/w “Big City Rock.” They were given ABC staff producer Steve DuBoff, who, oddly enough, had produced The Cowsills‘ pop classic “The Rain, The Park And Other Things.” It was not a good pairing as DuBoff hated punk and new wave, and the resulting recordings were not something that the musicians or the label were excited about releasing. Fortunately, the signed agreement stipulated that if the label didn’t release the record within sixty days, The Atlantics had the right to cancel their contract. The label didn’t release the music, so the members cancelled their obligation. ABC Records was pissed off to no end. Then they offered the band an album deal, which was taken at management’s advice, but against their own better judgement. Sound familiar? 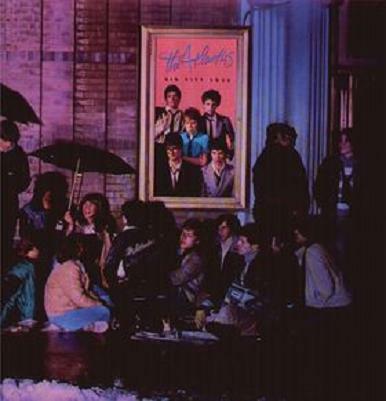 The Atlantics recorded their Big City Rock album with another of ABC’s staff producers, John Stronach, who the band mates didn’t want either. The musicians specifically chose Ed Stasium, and he showed interest, but the label fought them on it for so long that by the time they were ready to go in to the studio, there were no other options but to use the wrong guy. It was another disaster. Stronach had a decent resume as a producer, but his ears were shot, among other things, and although the album ended up sounding really flat it got a good review in Rolling Stone. The Atlantics then signed with Premier Talent in NYC, and the new agency booked the group on a national tour opening for Roxy Music. In the meantime, ABC was sold to MCA Records, and the band didn’t even know if their unreleased album would get shelved or be brought to market. MCA wanted the ABC country music roster and only kept three rock acts, Tom Petty & The Heartbreakers, Steely Dan, and The Atlantics. In fact, MCA stepped up and financed the Roxy tour, with The Atlantics in a great tour bus and staying in nice hotels. The only three dates on that tour they didn’t do were in Philly, Detroit, and their hometown Boston where another great local band, The Stompers, shared the bill instead. By the end of the tour the label and the band knew that the album had tanked, but MCA not only kept them under contract, but bought the band a new set of drums, which everyone took as a good sign. It wasn’t. The label’s lack of promotion and support brought dismal results and the execs ended up dropping them soon after. Following the commercial failure of Big City Rock, Ray Fernandes quit the band in the summer of ’79, after returning from the Roxy Music tour. He was replaced by Paul Caruso. Paul was with the band the last four years they were together, and his creativity changed and progressed the band’s sound and music. In 1980, the group paid for and recorded “Lonelyhearts” b/w “Can’t Wait Forever” at The Hit Factory and pressed the single with a cardboard sleeve. Before it was released, MCA called and wanted to re-sign them. The Knack had hit with “My Sharona”, and MCA thought that The Atlantics could be their Knack. They asked them to record “Pop Music”, by M, which hadn’t been released in the U.S. The musicians said no, and that was the deal breaker for everyone involved.The guys were having trouble drawing at that point in time. Other great local bands like The Neighborhoods, The Nervous Eaters, and The Real Kids had hit, and by this time, The Atlantics were old news to many on the scene They ended up opening several shows for Robin Lane, The Neighborhoods, and other newer acts, and did really well. Then “Lonelyhearts” was released, and it took off like a rocket. It was on local rotation at WBCN for six months, and made them even more popular than they had ever been before in Boston. They fired their manager, and that was in litigation during “Lonelyhearts”‘ reign on the radio, so no record company would sign the act. ATCO and EMI were interested, but nine months passed before the legal actions were settled with their manager, and at that point the interest had waned. Shoulda. Woulda. Coulda. They recorded and released “Pop Shivers”, “Weekend”, and “Wrong Number,” all of which were big radio hits, and signed with veteran NYC manager Steve Paul, but never were able to get another record deal. Tom and B. decided they wanted to go in a different direction musically, and as the band would not be the same without them, and coupled with the lack of mainstream success; they disbanded. 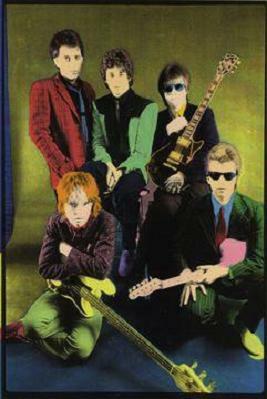 In May 1983, The Atlantics played their last show at The Channel with Extreme as one of the opening acts. After The Atlantics, Paul Caruso played with Hauck in Ball and Pivot and became a producer and engineer and worked with Aerosmith and Joe Perry. He also co-produced Perry’s 2005 solo effort. He was nominated for a Grammy the year that he passed. Paul died of heart problems in 2006, B. tragically took his own life in 2000,. Following the deaths of Wilkinson and Caruso two decades later, the surviving members regrouped and released 2006’s self-titled collection of unreleased tracks. 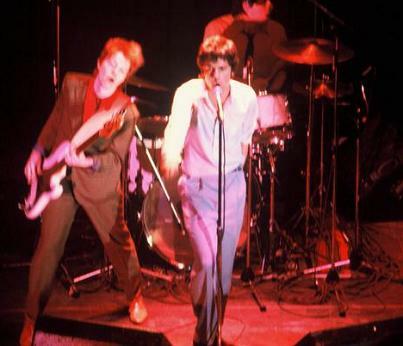 Encouraged by the success of their first new music in almost thirty years, the group also released Live, recorded in 1979 on the eve of their tour with Roxy Music; in the summer of 2007. At present, Bobby Marron retired from show biz thirty years ago, Tom Hauck makes albums under the name Telemor and writes novels, Boby Bear and Rayboy Fernandes still play, and Fred Pineau ventures out from time to time as well.